Direct mail is becoming more and more popular. Not least because of the effects of GDPR. Whether you market to businesses or consumers, Aga Grandowicz will help your understanding of mail by sharing some of her successful mailings. They are bound to give you inspiration. NOBODY ever signed up to be boring. Don’t short change your business with boring direct mail. Be different. Aga holds a master’s degree in graphic design and traditional photography. She earned her degree with the highest honours from the Academy of Fine Arts in Gdansk, Poland. As a brand designer, Aga is particularly interested in working for the cultural sector, and on projects where she can combine her design and illustration skills. Believe it or not, this was Aga’s first podcast! People love receiving personalised messages. Based on DMA research (Direct Marketing Association) 60% of people surveyed said that this emotional effect made a more LASTING impression. This makes it easier for them to recall the message later on. Contrast this feature of direct mail with the emails you receive. Within seconds you have forgotten the contents of the email and who it was from. With direct mail it is different. Direct mail can also make you feel MORE VALUED. It creates a more authentic relationship which you appreciate. Emails tend to be a copy and paste message to all recipients. You feel more special with direct mail. There is a combination of lots of thought and personal illustrations. She uses beautifully illustrated brochures, gifts and bulky objects. It’s called lumpy mail. Unusually shaped. It creates intrigue. The great direct mailers talked about Pile A and Pile B. Your objective is to get your mailing into Pile A. That’s the one the recipient will read and appreciate. Pile B is headed for the bin or at best very quickly scanned and despatched. Lumpy mail makes people curious. Emails are rarely curious. More importantly, response rates with direct mail is higher than email and social mail. Also, young people 18-30 love direct mail. They love hand written personalised messages. 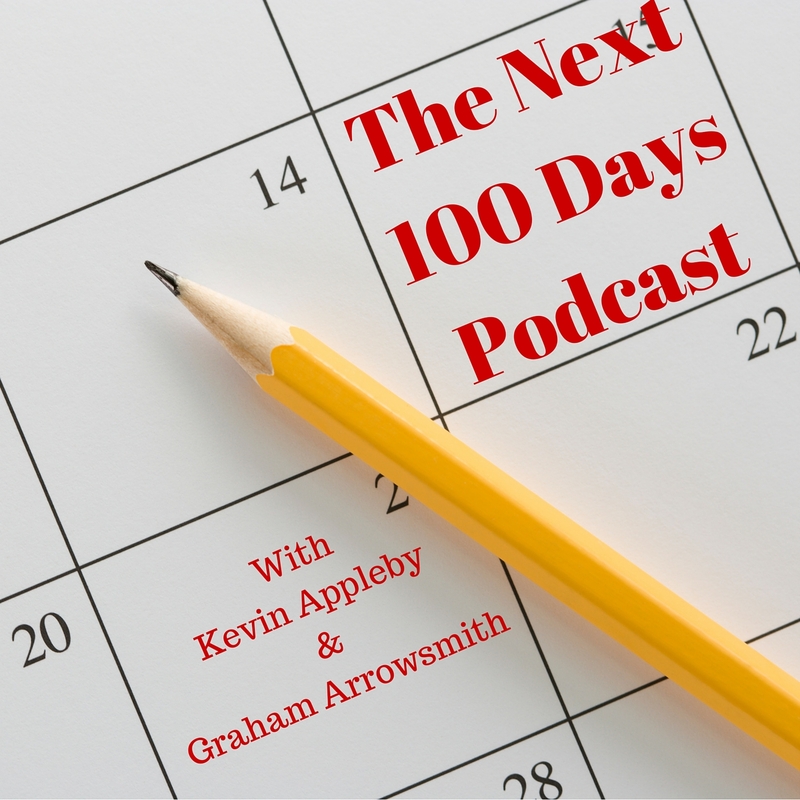 Just like Kevin and Graham received from a previous guest, Pete Williams, who spoke about the 7 Levers and doubling your business in the next 100 days!. Listen to Pete here. If you are happy with the work you receive from a supplier, send them a hand-written postcard. Kevin mentioned a free pen from a company who write with a free sample. It had his company name printed on the pen, plus you could use it to scribble on your iPad too! Whats the most unusual thing Aga has put into the mail? She put a drain pipe into a box. A big box. The message on the box was NEW PRODUCTS IN THE PIPELINE. When recipients spend the box, they saw this pipe which was made into a telescope. Looking at the mirror inside Aga’s message was visible on the inside of the pipe! The message? It was for property developers asking if they had any new projects in the pipeline that Aga could help them with. Around 8 years ago, Aga mailed this mailing. It was sent to American prospect clients. In this box, Aga illustrated a brochure with unique illustrations – worthy of publishing. There was a letter and incredibly, there was a stone! In a direct mail pack!! The NAME of the recipient was written in an ancient Irish script. Aga had to develop a font specifically for the campaign. The response was fantastic and won an AnPost Direct Marketing award. The response mattered the most though. Imagine, how many of the 1,000 mailed will still recall the mailing? Everyone of them? Compared to receiving emails? You will remember it. It will stand out. The average order value has to be large. But very often the average order IS LARGE. Aga mentioned that for every $167 spent of direct mail, marketers sell $2,095 in goods – an 12.5x return. Why would you NOT want that? There is a new trend, that the old way is the new way. You receive fewer messages through direct mail. So consider direct mail. But makes sure your direct mail stands out. What Other Ways Can You Advise? A nicely designed postcard can make a huge difference. The message was not about selling her services! It was just have a happy day. Plus her contact details. She got lots of work with that mailing. She approaches a new project, analyses what people have been doing. Aga very often finds a chaotic, unplanned stream of different messages. The best way to start is to create a strategy. And focus on that strategy. BE CONSISTENT. What are the trends and then come up with something COMPLETELY different. An agency she worked with sent out mankinis. Consistency is about consistent of branding. Same logic, same fonts, colours, templates etc. Do something different. Be silly. Target the right people. A very important part of the whole process. The majority of people will open the mail. Make sure the person is still working in the company. Check the recipient still works at the company. GDPR will see a big increase in B2B direct mail. There is less restriction communicating via the post. Here’s a useful piece of information from the ICO. It is always good to follow up. See if the mailing was received and what the reaction was. The open rate on direct mail is the inverse of email open rates. If email open rates are 1 in 10. With mail it is more like 9 out of 10. Do you want to invest in REDUNDANCY – will email work for you? Here’s Aga’s “Lego Brick” mailing.